I know that SEO takes quite a bit of work on my part; competitive research, keyword analysis, content generation or manipulation, coding precisely and making sure pages load quickly. 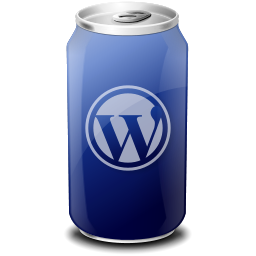 However I can’t help but think that WordPress’s unwavering quality as a content management system combined with the clean coding that a myriad of talented programmers have devoted to developing WordPress and the outrageously wonderful search engine optimization plugin’s available…have a lot to do with it. Almost all of the websites I have optimized that are WordPress oriented have landed on PAGE 1 of Google, if not in top 5 of the 1st page of Google. You may think, “Well ya’ but maybe you only had a few hundred thousand competitors.” in that case, YOU – Sir or Madame would be wrong. We are talking MILLIONS of online competitors for the given keywords from ‘bird breeder‘ (EMR Exotic Bird Breeder) to ‘super loads‘ (American Heavy Moving and Rigging). I have always loved researching and Search Engine Optimization for my San Diego WordPress Clients as well as my International and National clients affords me opportunities to truly research my pants off. I absolutely KNOW your industry inside and out and who your competitors are and I will do my best to get you to the first page with all that I have. After I’ve done my work as carefully and concisely as feasible to get a site ranked, sometimes it just falters and doesn’t get the Google Love it should. During those times I will go above and beyond to tweak, noodle around and alter what I can to get you bumped up. I NEVER do anything unethical, so don’t even ask. I do however work VERY HARD to make your site climb to where it needs to be in order for you to have the success your business deserves. And WordPress allows me that extra nudge to build content, analyze SEO on a given page and make it the best it can be. 1st page Google ranked San Diego WordPress Websites and Nationally Ranked WordPress Websites tell me WordPress plus SEO is a powerful tool in your business arsenal. PreviousPrevious post:Imitation (Plagiarism) is (NOT) the Highest Form of FlatteryNextNext post:Website Fees: Do You Get What You Pay For? Brava Anita! 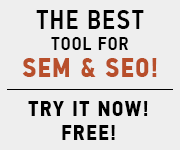 You have done a fabulous job with getting my website ranked, you are definitely the best I have ever known in SEO. And you’re a beautiful, wonderful mom powered by a truly spiritual soul. It is such a pleasure to know and work with you!